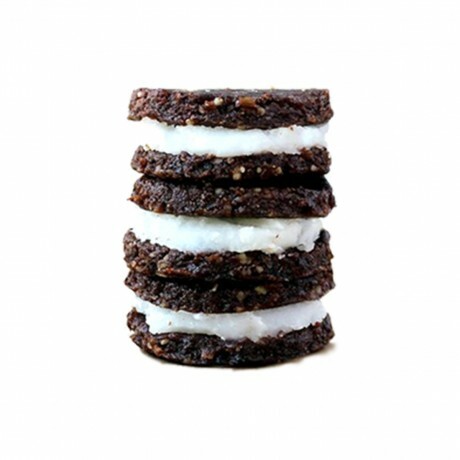 Home>Browse All>Snacks & free from>Vegan>Vegan cakes & treats>Vegan biscuits & treats>Mixed Raw Bites | All bites inside! 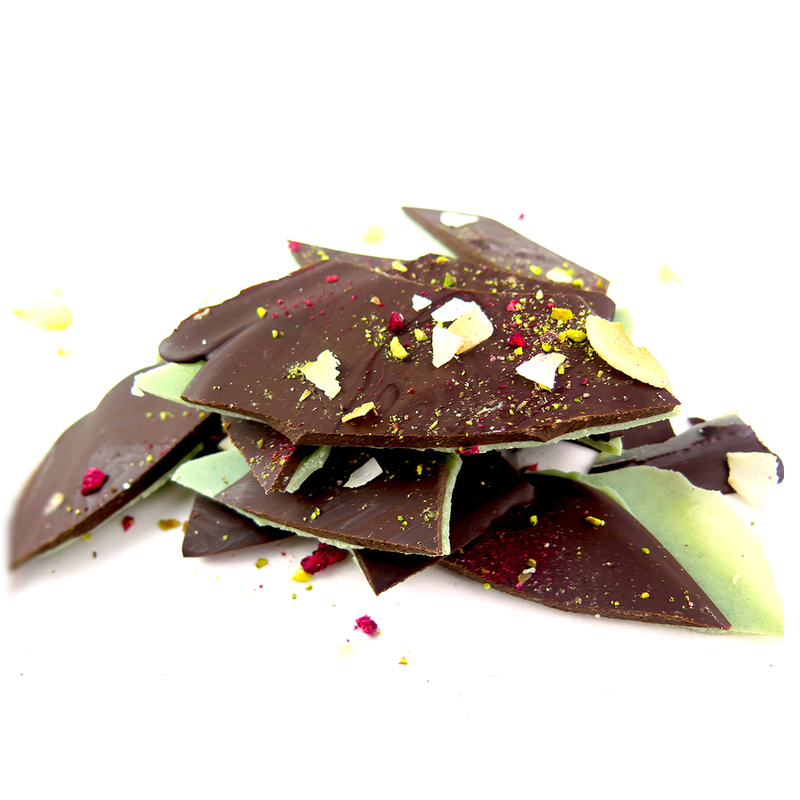 A selection of yummy goodness, from raw chocolates to energy balls - perfect as a gift, or treat yourself. 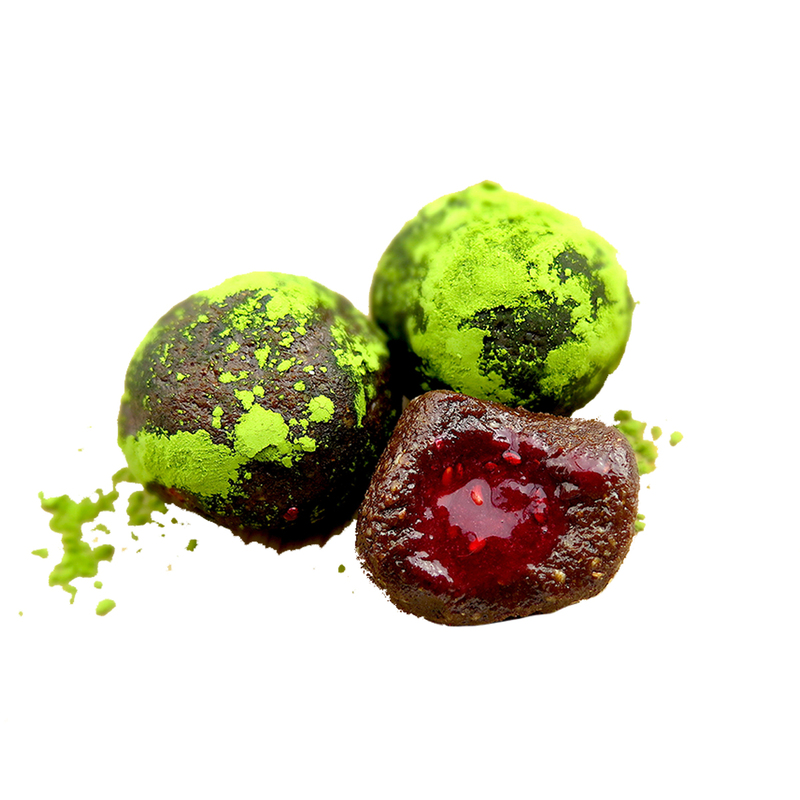 CHOCOLATE & MINT BARKS: Cacao Powder, Coconut Oil, Coconut Sugar, Organic Peppermint Oil, Spirulina Powder, Goji Berries, Dried Raspberries, Coconut Shavings. RAW COOKIES & "CREAM": Dates, Oats, Desiccated Coconut, Cacao Powder, Coconut Oil, Cashews, Vanilla Powder. 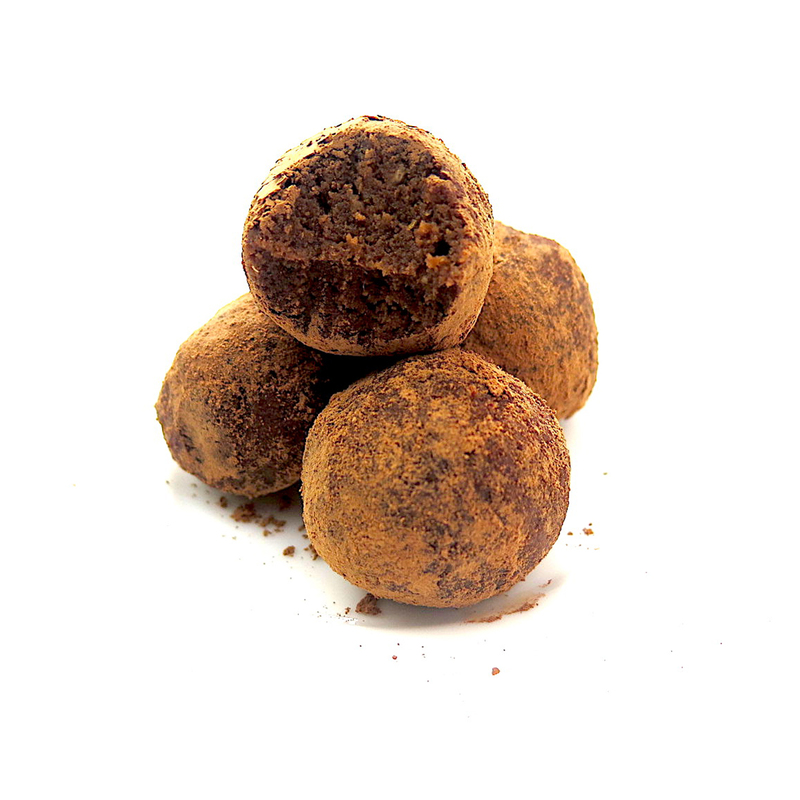 CHOCOLATE & "CARAMEL" BITES: Dates, Cacao Mass, Cacao Butter, Coconut Oil, Oats, Cashews, Maple Syrup, Sea Salt, Vanilla Powder. 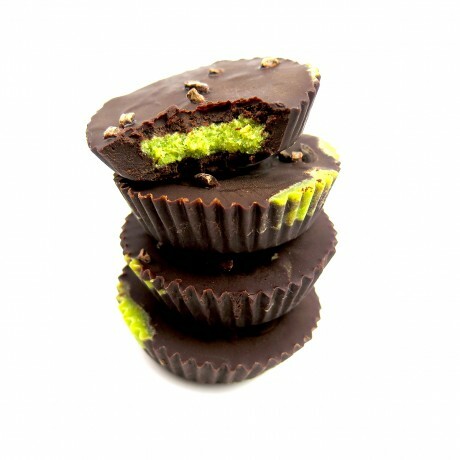 CHOCOLATE & MATCHA CUPS: Cacao Powder, Cacao Butter, Desiccated Coconut, Matcha Powder, Coconut Oil, Coconut Sugar, Vanilla Powder. 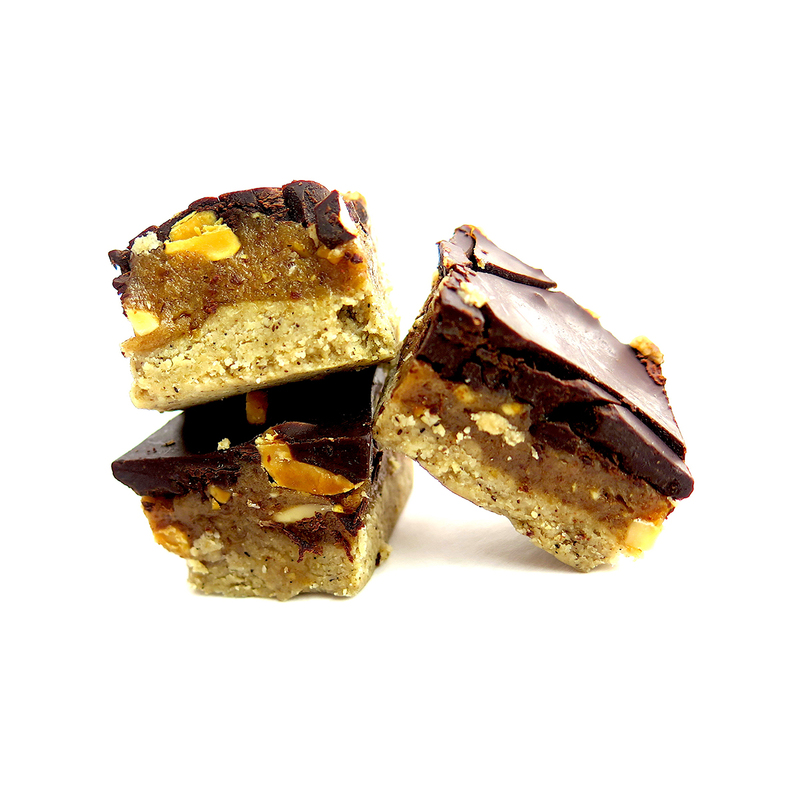 RAW SNICKERS SQUARES: Dates, Oats, Peanut Butter, Peanuts, Cacao Mass, Cacao Butter, Coconut Oil, Coconut Sugar, Sea Salt. RAW CHOCOLATE & HAZELNUT TRUFFLES: Dates, Almonds, Hazelnuts, Pumpkin Seeds, Dates, Cacao Powder, Vanilla Powder. MATCHA & RASPBERRY ENERGY BALLS: Dates, Almonds, Oats, Matcha Powder, Raspberry, Chia Seeds.